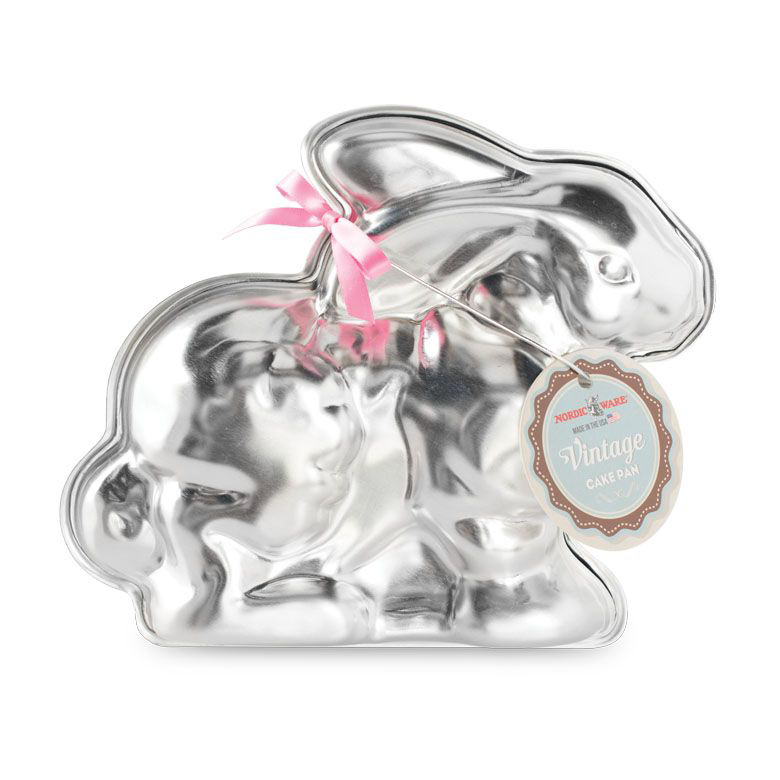 BUNNY CAKE MOLD- three-dimentional bunny mold makes an adorable free-standing bunny cake that does double duty as the perfect springtime centerpiece. Two-pieces, instructions for use and care are included, cast aluminum -- 11 1/4" long. Made in the USA.